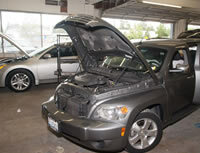 Lakewood Auto Body is an auto brake repair shop serving residents of Bonney Lake, WA, and the nearby areas. A family owned and operated business, our technicians can repair brakes in all vehicles from cars, trucks to SUVs. One feature that distinguishes us as an auto brake repair shop in the Bonney Lake area is our commitment to achieving complete customer satisfaction on each and every job. We want to put a smile on our customers’ faces that comes from receiving a fast, friendly and professional service at a reasonable rate. When it comes to ensuring your safety on the road, no other component of your vehicle is more crucial than the brakes. For this reason, it is important to take your vehicle to a reputable auto brake repair shop in the Bonney Lake area. We understand the importance of a well-functioning braking system. Looking for the best place to get your brakes repaired? We are here to help with all your brake service and repair needs. We repair the brakes on all makes and models of vehicles. Our goal is to keep brakes working in a safe and reliable manner. 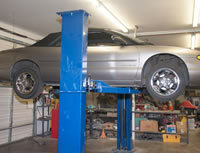 We thoroughly inspect your braking system and offer our expert recommendations. Rest assured we stand behind our work with guarantees. If your brakes are beyond repair, we would be happy to help you with brake replacement. If you would like to get your brakes checked, get in touch with Lakewood Auto Body - your premier auto brake repair shop serving Bonney Lake community. Call us at (253) 581-0220.